Kalifornia Entertainment has been helping Rochester businesses and corporations entertain their employees and guests for a long time and have performed for many different Rochester Corporate Events, both small and large. We offer our Rochester DJ services for holiday parties, team building events, product launches, branding, new business openings and any other reason to celebrate. Our strategic approach to Rochester business and corporate DJ entertainment will boost morale and instill excitement among your employees. We strive to deliver exceptional performance quality and professionalism that is reflective of your brand and is a positive representation of your business culture. As the top Rochester corporate events and business DJ, you receive a well presented entertainer in professional business attire during your event and top of the line equipment that is aesthetically pleasing. 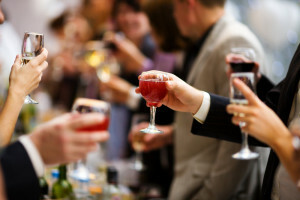 Whether your vision is an elegant cocktail event, a concert-style event or something in between, Kalifornia Entertainment offers the perfect Rochester corporate DJ solution for your company and your budget. When a corporation holds an event it is expected to leave a positive impact on those who attend. It’s a part of what the business or corporation stands for and what it chooses to represent. Kalifornia Entertainment is the ideal choice to make that happen and we understand the impact that a business’s event has on their guests. Whether your Rochester business or corporation is planning an intimate holiday party or a large, company-wide gala, we are dedicated and will work with you to make it an event in which you look good and your guests feel great. Our photo & video booth can be added with your company branding included in all photos, for an additional cost. We all know that Western NY is a hot spot of prosperity for many companies and corporations throughout the entire world. When these businesses and corporations host a Rochester event, it is often more than a gathering, it’s a production. They reach out to us here at Kalifornia Entertainment to help because they know that they need a respected Rochester corporate event DJ company; one that has the talent, resources, and ability to create a successful event for them. 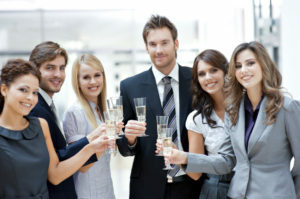 Make sure that your Rochester corporate event is the one that people remember and talk about. Contact us today for more information!